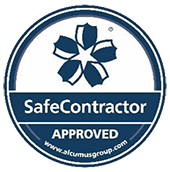 Spalding Air Conditioning Services Limited takes the protection of your privacy very seriously. We will only use your personal information to deliver the products and services you have requested from us, and to meet our legal responsibilities. The personal information we collect from you will vary depending on which products and/or services you engage us to deliver. The personal information we collect might include your name, address, telephone number, email address, your bank account details, your IP address, which pages you may have visited on our website and when you accessed them. You have the right to ask for a copy of the information Spalding Air Conditioning Services Limited holds about you. We may occasionally contact you by post, email or telephone with details of any changes in legal and regulatory requirements or other developments that may be relevant to your affairs and, where applicable, how we may assist you further. We keep this privacy notice under regular review and will place any updates on the Policies page of our website at www.spaldingairconditioning.co.uk. Paper copies of the privacy notice may also be obtained using our ‘Contact information’ below. 1.1 This website is published by Spalding Air Conditioning Services Ltd. The following statements apply to this website. In line with the requirements of our professional bodies Bulley Davey maintains professional indemnity insurance cover for its activities. This is provided by AIG Europe Limited (The AIG Building, 58 Fenchurch Street, London EC3M 4AB) and others. The territorial coverage is worldwide excluding professional business carried out from an office in the United States of America or Canada and excludes any action for a claim brought in any court in the United States of America or Canada.